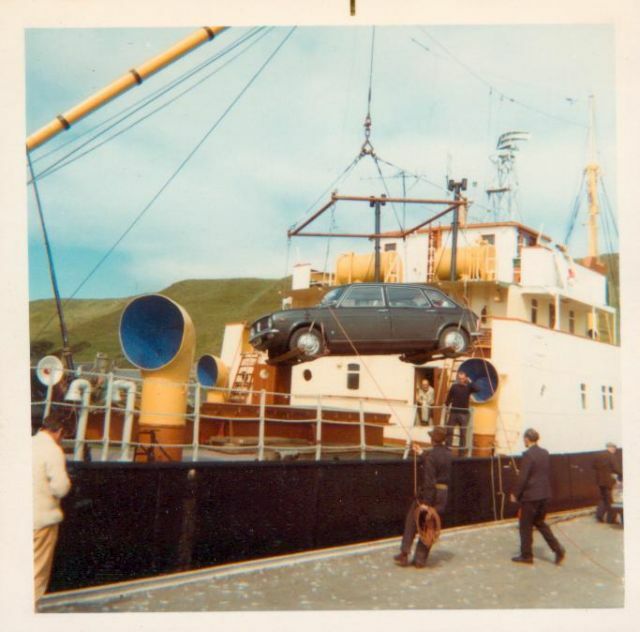 Alan sends in this picture of his own car (a Maxi) being loaded at Scrabster on his first visit to Orkney in June 1972. Picture taken using a Kodak Brownie and 127 roll film. The above photo is certainly not St Ola II, it is most likely to be of MV St Clement who assisted on th Pentland Firth Route during the busy summer months.